On the 30th of May the concept design developed by karres+brands together with Strelka KB for the Museum of Toys in Sergiev Posad was awarded government financing. The concept inspired by the board game “snakes and ladders” defines a playful route to connect the UNESCO World Heritage building to the surroundings. 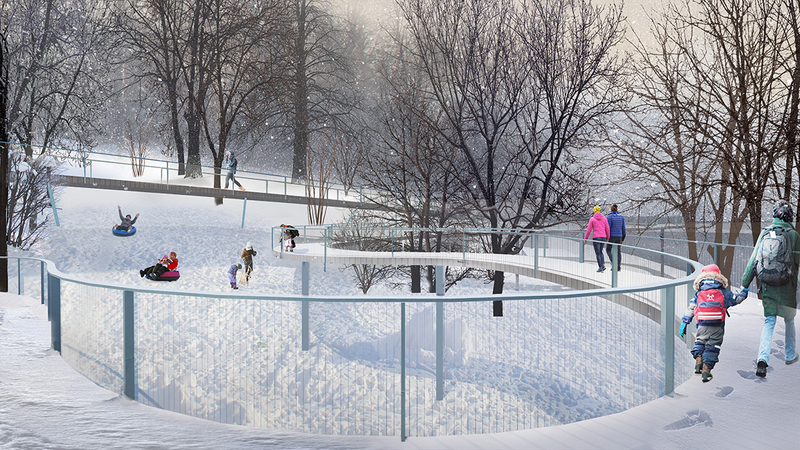 In order to preserve the natural landscape and enhance the views to the heritage building, karres+brands proposed a gently sloping elevated pathway. 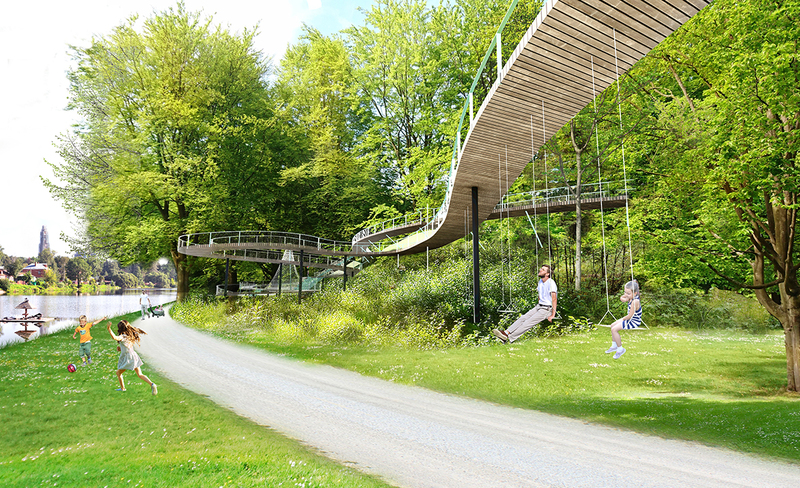 The route will meander between existing and newly planted trees and will integrate exciting play elements along the way. In the coming months the design will move into detailing phases and into construction with completion expected in 2019.